In short, Vibradermabrasion is a new therapy designed to exfoliate any part of the skin. It works by non-invasively removing the stratum corneum (the skin’s outter most layer). Once exfoliated your skin will become more permeable thus resulting in the restoration of moisture through proceeding with skin hydration therapy. 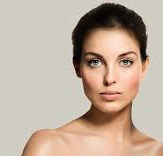 Vibradermabrasion improves the look of skin by cleaning and the removal of dead skin cells. During treatments therapists will apply a hydrating therapy to continue the dermal infusion of the skin. Vibradermabrasion in combination with the high quality skin care products available at Vitruvius Divine will help you to achieve the skin you want. As a painless and quick treatment, no aftercare is required and patients will be able to apply makeup directly after. At Virtruvius Divine, we recommend a series of 30 minute treatments to ensure the best results. Results will also vary. Categories: Acne Treatments, Beaumaris, Cosmetics, Environ Skin Care, Melbourne, Obagi, Obagi Skin Care, Products, Skin Resurfacing, Skin Tightening, Vibradermabrasion, Vitruvius Divine Cosmetic Clinics | Tags: acne scaring, Acne Treatments, age spots, anti ageing, antioxidants, Beaumaris, beauty, cosmetic clinics beaumaris, cosmetic clinics melbourne, discolouration, dull skin, enlarged pores, keratosis pilaris, non-surgical, Obagi Skin Care, pigementation, Skin Resurfacing, sun damage, vitruvius, vitruvius cosmetic clinics | Permalink.